Android device users are never going to be restricted in regards to the number and types of mobile roulette games they can play, however not all mobile casinos are going to be offering you the very best playing and paying Android compatible roulette games. It is with that in the forefront of our mind that we chose to compile the following casino table game playing guide and we are going to let you know just where to play roulette on your Android phone or Android mobile tablet device and which are the best variants for you to play! The French Roulette games and the European Roulette games both offer house edges of 2.70% due to them having just one single zero on the roulette wheel, however if you are a roulette player who tends to place just the even money paying bets when you play roulette then stick to the French Roulette game instead of the European mobile version. The French Roulette game has a slightly lower house edge on offer to players who place even money paying bets and that house edge is a generous 1.35%. Whatever you do when you are playing roulette always avoid the American Roulette game variant for the house edge is 5.26% due to there being two zeros in play on its wheel and that is a very high house edge and should be a game you never choose to play! As an Android mobile device user you will have access to every single type of casino game you are looking to play, and if you do want to have some real money gaming sessions on that device and you are looking for some ideas in regards to the types of Roulette game variants that are available then below we have listed the different Roulette game variants you can always access on your Android device. Roulette with Bonus Bets – Many mobile casino sites offer Roulette games which may come with one or two zeros on their wheels, however many sites allow you to place a range of bonus bets on those games, but what makes these types of games unappealing is the house edges are often quite high on them due to those bonus bets! Single Zero Roulette Games – The best types of Roulette games that you should be playing are those without bonus bets and those on which just one single zero can be found on the wheel, so make sure you look out for Android compatible games such as European and French Roulette which do have just one zero on their wheels. Double Zero Roulette – You should never be in a hurry or ever get the urge to play American Roulette or any variant of Roulette that has two zeros on the wheel for those games come with a huge house edge and offer players no value what so ever, so avoid playing those types of games on your Android device! How many bonuses can I claim? By sticking to playing at only our featured Android compatible casino sites you will find those site offer their player’s access to sign up bonuses and ongoing bonuses will also be available to you at those casino sites. You need to read the rules of each casino bonus you are thinking of accepting for not all bonuses can be used on Roulette games. 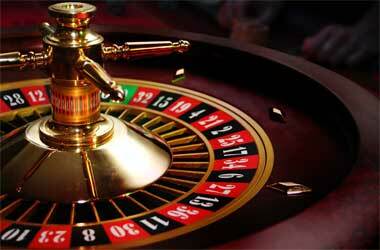 However, you will be earning comp points whenever you play Android Roulette games for real money. Which Rival software powered casinos are recommended? Ruby Royal Casino offers their players a fully Android compatible mobile gaming platform, and when playing at this casino site it is the Rival suite of casino games you will be accessing. We have reviewed this Android compatible casino site on our website so take a look at that review to find out what other Rival designed and supplied casino games you are going to be able to play if you decide to play there. What bet should I place to get the biggest payout? For the chance to win a life changing jackpot you should be placing the bonus bets on offer on progressive jackpot games. However, the highest paying one you can place is a straight up number bet. By placing a chip on one single number if that number is then spin in you will then be paid out at odds of 35 to 1 on the amount you wagered on that single number. Are there are unique bonus bet roulette games? If you want to play a new type of roulette game that you may never have come across online before then at Microgaming powered casino sites they have a Premier Roulette game, which may appeal to you as it comes with enhanced graphics, however you will always have a large range of betting opportunities on that game but some much lower minimum stake limits are on offer to you. What house edges are offered on Roulette Games? Each different roulette game that you will come across will have its own different house edge, 1.35% is the house edge on the even money paying bets on the French Roulette game, when playing the European Roulette game the house edge on all wagers is 2.70% but the American Roulette has the highest house edge for that games has two zeros and the house edge on that game is huge at 5.26%. Will I be able to play for my own chosen stake limits? If you are a low stake player or even a high stake player then the min and max bets that are going to be available to you if and when you start to play Android compatible Roulette games are going to vary depending on just which mobile casino sites you choose to play at. Be aware that most casinos will have a minimum bet per spin of just 1.00 however some mobile casino sites will let you lower the chip value settings down much lower, so look for those casino sites if you are a low rolling Roulette player!